New electric vehicles from Mercedes-Benz, Audi, Jaguar and Porsche aim to win back some of the luxury customers drawn away by Tesla’s electric vehicles at a time when the company is consumed by multiple distractions. FRANKFURT, Germany — While Tesla grapples with internal issues like production delays, a sometimes-erratic CEO and a recent about-face on whether to go private, its rivals are moving aggressively into the luxury electric-vehicle space. 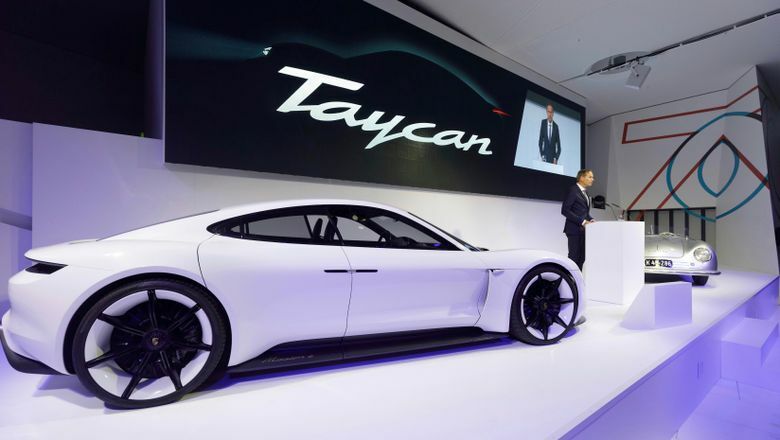 Meanwhile, Jaguar Land Rover offers the I-Pace electric SUV while further out, Porsche is taking on Tesla’s Model S high-performance luxury car with the Taycan, expected to reach the market in late 2019. The established carmakers have multiple motives. They need zero driving emissions vehicles to meet tougher greenhouse-gas limits coming into effect in Europe in 2021. Diesel is in the doghouse. And China, a major market, is pushing hard for more electrics. But the new models will also aim to win back some of the luxury customers drawn away by Tesla’s electric vehicles at a time when the company is consumed by multiple distractions. Its CEO, Elon Musk, took to Twitter on Aug. 7 to abruptly announce he had secured funding to take his company private, only to turn around 17 days later to say that Tesla would remain public. The electric carmaker is also facing financial pressure, with a $230 million debt payment that’s due in November on top of the $920 million that must be paid off three months later. And it has only recently hit production targets for its Model 3 mass-market vehicle. The new entrants challenge what has been one of Tesla’s key selling points: range. The EQC sport-utility crossover from Daimler’s luxury brand Mercedes, for instance, should go up to 300 miles on a single charge. That’s comparable to Tesla’s SUV, the Model X, which has a range of up to 295 miles. The EQC, to be unveiled outside of Stockholm on Tuesday, is the first in the Mercedes EQ sub-brand that bundles the company’s efforts in electric, connected and autonomous driving. Media representatives didn’t provide a price ahead of the unveiling. Volkswagen’s Audi will show off its e-tron in San Francisco on Sept. 17. It offers more than 248 miles on a single charge. The company says the e-tron should be able to use high-speed charger facilities — if they’re available — to charge in less than 30 minutes. The German price will be around 80,000 euros ($93,000) and it should go on sale near the end of the year in Europe, and next year in the U.S. The Porsche Taycan will also pose a stiff challenge to Tesla’s Model S in terms of range: Porsche claims it can load enough power for 248 miles in just 15 or 20 minutes. The company hasn’t announced a price. 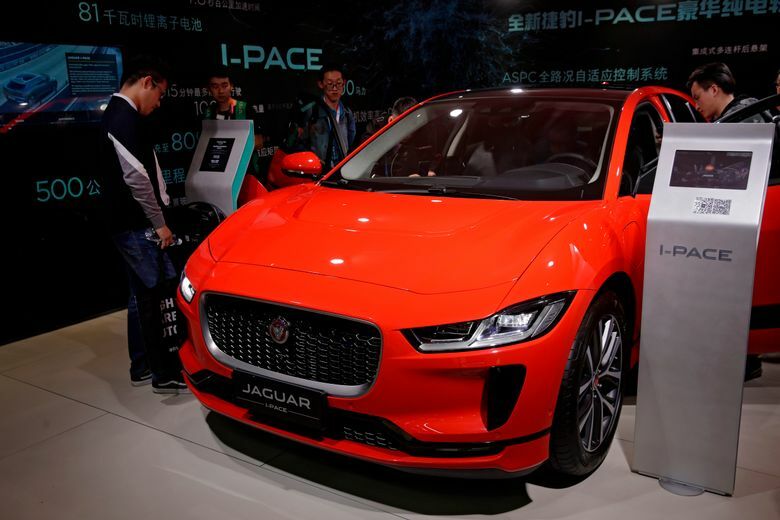 The I-Pace, whose price starts at $69,500 before local and federal incentives, offers a range of 292 miles under the tougher European Union standard. The Model S, meanwhile, has a range of up to 335 miles. But Tesla’s ambitions go way beyond the luxury electric-vehicle market. That’s the whole point of the Model 3, which is aimed at the mass market with a starting price of $35,000 and an EPA range of 310 miles. But there, too, the company must go head to head with rivals. They include the BMW i3 with a starting price of $44,500 and an EPA range of 114 miles; the Nissan Leaf with a starting price of $30,000 and an EPA range of 151 miles; and the Chevrolet Bolt with a starting price of $37,495 and an EPA range of 238 miles. Nissan promises a longer range version of the Leaf for 2019 and in 2020, Volkswagen plans to launch a compact version of its all-electric ID lineup. Tesla’s Supercharger network has a big advantage over competitors. The company’s website says it has 1,332 fast-charging stations with 10,901 charging units worldwide. Electric cars made by other manufacturers can’t use Tesla stations, and public and private charging stations are sporadic. European carmakers are rolling out their own fast-charging highway network through a joint venture, but only a few stations are up and running. The electric push also comes after Volkswagen’s 2015 diesel scandal. The company’s illegal rigging of vehicles to cheat on emissions testing helped turn consumers off diesels. Falling diesel-sales numbers make it harder for European carmakers to meet lower-fleet emissions requirements coming into force in the EU in 2021.